Ever heard the phrase “happiness is an inside job”? It’s true. We can all stand to bring a little more joy into our lives, and it turns out our hard-earned cash can help us get there. 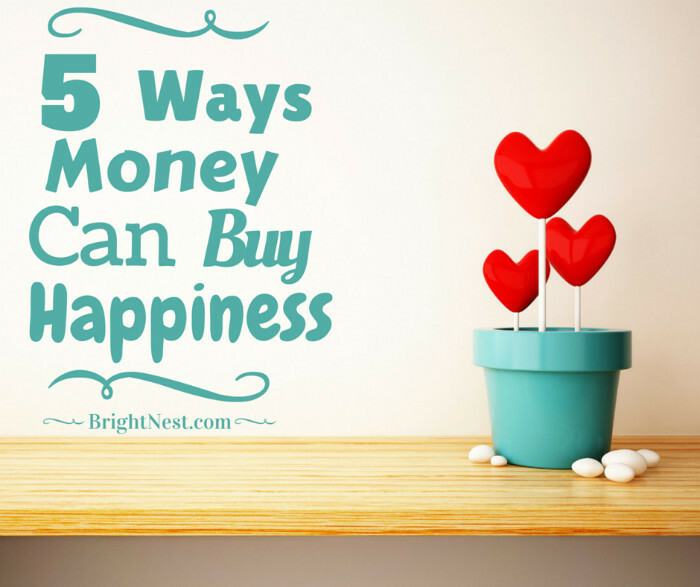 Yes, that’s right: You can buy happiness. According to a new book called Happy Money: The Science of Smarter Spending by Harvard professor Michael Norton there are ways spending can increase your bliss with cash. Don’t run out and buy that new X-Box just yet! According to an article in Time magazine about the book, it isn’t the act of shopping that brings joy. Rather, it’s the strategic way you spend, and the mindful reflection on that spending that will bring happiness. According to the article, 57 percent of Americans reported that purchasing an experience made them happier than buying something material. It’s not necessarily because the experience is so fun. Rather, this is because you can reflect on and think about your “money well spent” for long after the experience is over. This is because of a phenomenon called adaptation. No matter how excited you are about your new thing you recently bought, you’re going to get bored of it over time and it will lose its glitz. Throw a Puzzle Party. Puzzles are making a comeback, particularly interesting puzzles that can parlay into framed art. Buy a puzzle you find interesting (we like this Clementoni Senecio 1000 Piece Paul Klee Jigsaw Puzzle for $21 on Amazon) and invite a few family members or friends to join you. For the 21 and up crowd, bring a few brews or a bottle of wine to the table. Play some music. Have fun! Once it’s complete, consider framing it (this jigsaw puzzle frame is $23). Note: If you want to keep the fun going, don’t feel pressured to finish the entire thing in one sitting. Twice the parties, twice the fun! Host a Mashed Potato Social. Throwing a dinner party doesn’t have to break the bank! We love the idea of a mashed potato social, because it’s quirky enough to be memorable, and potatoes currently sell for about $2 per pound. Throw some cream, butter, milk and salt into your grocery cart and whip up a batch of “perfect mashed potatoes.” For the party, lay out a few classic toppings like chives, butter, bacon and cheese buffet style. For a whimsical touch, serve your potatoes in sundae glasses (this set of 12 is only $41!). Friends and family will have fun building their own potato sundae, and you’ll have potato-filled memories to make you smile. Sunday Night: Ice Cream Night. If ice cream makes you happy, deny yourself the sweet treat six days a week. Then, fight the Sunday scaries by allowing yourself to indulge in the deliciousness of a cup or cone at home on Sunday evening. You’ll think about the ritual all week long and may even enjoy Sunday nights a little bit more! Note: If ice cream isn’t your thing, find something that is! Maybe it’s a Sunday night hot wings tradition, or brownie night. Whatever the treat is, make sure it’s something you truly enjoy. According to the article, people with “free time” are more likely to exercise, do volunteer work, and participate in other activities that are linked to increased happiness. But who has enough time when chores aren’t done, dinner isn’t made and emails aren’t read? We get it. To give yourself some breathing room, hire help! You work hard for your money, and money can be used to buy “free time,” by outsourcing the demands of daily life such as cooking, laundry, cleaning, and even grocery shopping. Hire a Pro. First, think about the task that makes you die a little inside when you do it. That may be laundry, or it may be cleaning the toilet. (Everyone has a most-hated task!) Then, visit Angie’s List to find a pro that will take that task off of your hands. The key here is to not waste your newly created free time. Fill the minutes or hours you would have spent doing the deed with something that will make you smile, like volunteering or reading a book to your kid. Think about bacon and a dog. If you give a dog bacon without any build-up, he’ll enjoy it, sure, but if you wait and hold it out, he’ll drool and beg for it. You want to drool to really experience pleasure. Save for Something Awesome. This is the one exception to the “don’t buy things” rule. For example, if you’ve been daydreaming about an X-Box, start a savings plan to help you buy it. It doesn’t matter if you have money in the bank that wouldn’t be dented with the purchase right now – the point is to make you wait! So, say you want the X-Box, which costs about $400. Lay out a savings plan - say $20 a week - and ceremoniously place the $20 in an envelope or special savings account. When you have enough cash, buy the box! The anticipation you’ve felt bringing the item home will make it that much sweeter. There’s a reason gift-giving is considered a love language. According to the article, people who spend money on others are measurably happier than those who spent money on themselves — even though there were no differences between the groups at the beginning of the day! So make someone else smile and you’ll feel the effects, too. Do Their Chores. We love this idea, because it’s free to you! If everyone in your household has different chores, surprise a loved one, roommate or friend by taking care of their task. Don’t let them know it’s happening! Just do the dishes, take out the trash or walk the dog and then casually mention it when they begrudgingly move to do their chore. They’ll be pleased, you’ll feel happy and everyone wins. Bring Home a Treat. At the end of a long day, chocolate is always a good idea. Next time you head home from work, grab a sweet treat to surprise a loved one or roommate. It doesn’t have to be expensive - a $1 REESE’S from the gas station will do! Then, as they eat their treat, sit with them and talk about their day. (Or if it has been awhile, their week.) They’ll feel appreciate and you’ll get all of the feels, all for less than the price of a cup of coffee.